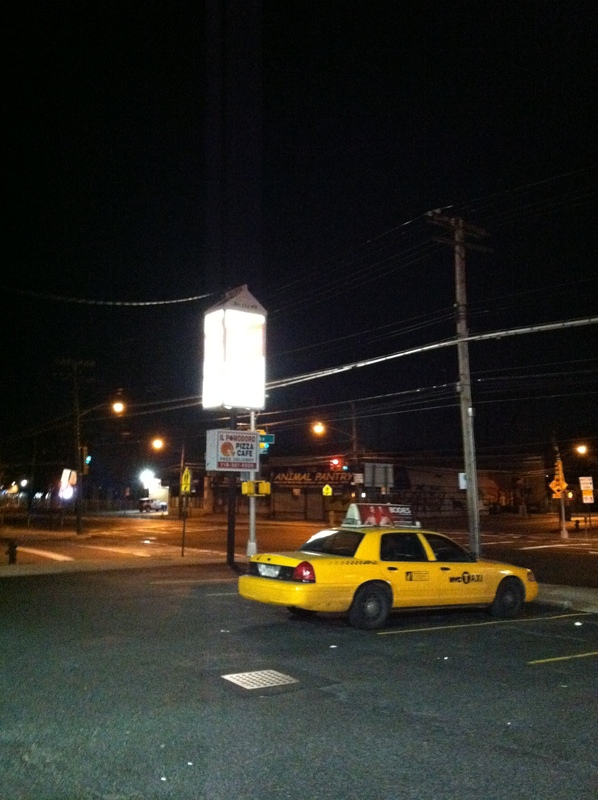 A Milk Carton sign on Hylan Boulevard. Who knew? I had no idea if I’d ever get here and actually have someone in my cab at the same time. Like most things in New York, the ride to Staten Island cost a fortune and doesn’t happen instantly, which leads to many people forgoing the journey down the Gowanus and over the Verrazano Bridge. Tolls recently went up on that crossing too and it’s gotten so high that one can’t mention the ride there without it and how much the MTA acts like a troll to the people who wish to leave the island to visit the rest of civilization. The wildly popular Staten Island Ferry that commuters and tourists rely on for scenic views runs to and from Lower Manhattan 24 hours a day, but like so many other forms of late-night transportation, after-hours service can be spotty and infrequent. Of course, mine was too. I’ve probably told a few dozen of my passengers this month that if I spent my entire waking existence in New York, I would have no idea that the rest of the United States is still mired in the aftermath of a recession. There’s been too many times where people have nearly come to blows to get into my taxi and certainly a few weekend revelers have not been shy about stating the amount they spent on a table with bottle service at a popular new club. We hate going through Times Square. 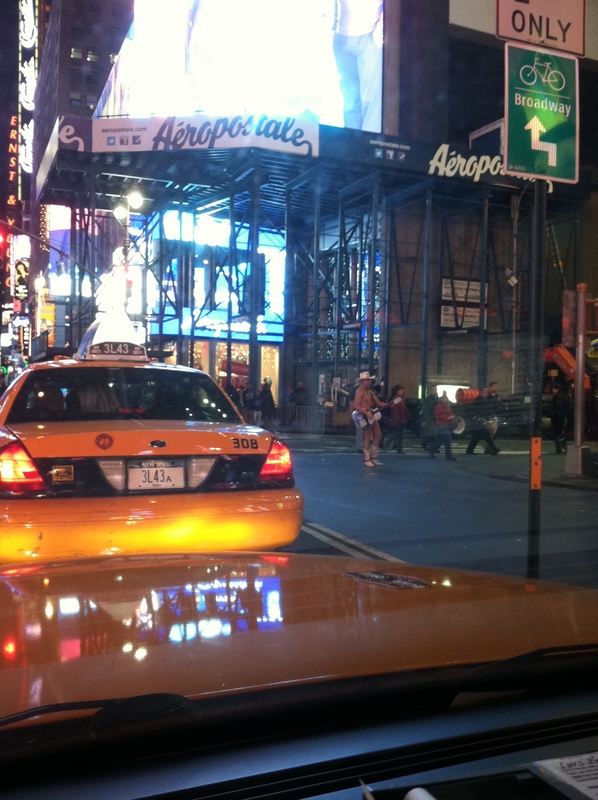 So I start the meter and fly down 7 Ave, since it’s late and most of the tourists have turned in for the night. I was already excited that this wouldn’t be remotely close to any other run that I’ve had but there was something different about this person. Black leather jacket, reeked of smoke, a thick New York accent, and to top it off, he swore like a sailor. And I was right, to a certain extent. This Andrew wasn’t going to break out a dirty nursery rhyme but he was the closest thing I had to reliving every dirty joke I told in 7th grade. I could see that he hit the nail on the head with that last statement. Even though I had never taken anyone there, there were a few times, when I drove through it on my own to get to other places, and yes, it doesn’t look or feel like Manhattan once you’re away from the St. George Ferry Terminal. Like so many other outer neighborhoods in New York, you don’t realize you’re in New York until you see the street furniture and municipal services – the light fixtures, signs, traffic lights, NYPD cars, and street signs that look so oddly out of place with the Perkins and White Castle that seem to missing a Jersey barrier and jughandle out in front. What I was most grateful for on this run was not seeing a part of New York that I never get to, but how easy it was to get to at night. There are few places that are tough to reach after hours but that’s only if the person in the back seat is sober and coherent. There’s been too many times where I had to stop the Taxi as soon as I got off the highway or out in the middle of nowhere and had to wake up a snoozing passenger so he could help me on the last 3 miles of my fare. That wasn’t the case last Saturday. What stuck in my mind in the wee hours was how much Andrew reminded me of myself in terms of his upbringing and his life story. No matter how many types of people I give rides to every day, there’s so much that unites everyone in the city as diverse as New York. Everyone who calls the Big Apple home seems to have it all together, with the sky-high rents and grind-it-out jobs that come with city living. Take it from me – everyone does NOT have it together and even though most people don’t lie, New Yorkers are better at hiding their flaws and insecurities than anyone else. Many will bear them to people like me since it may be their only chance to open up in a given day and for me, that’s alright. Along with the traveling, the food, and the knowledge I gained of what’s what and where in the Big Apple, that’s why I took this job. I may not ever win a lifetime achievement award or work my way to the top of my field, but I love helping brighten people’s day just a little bit; as terribly cheesy as that probably comes across on here. The rest of the night was fairly uneventful, with the usual assortment of clubgoers and resident drunks hopping in and out of my cab as if I had revolving doors on the sides of the vehicle. At I parked the cab for the last time as the sun was coming up, I was thankful that I had passengers that could show me the most real things in this world, unseen by both children and men. This entry was posted in Fares and tagged Saturday, Staten Island, Times Square.